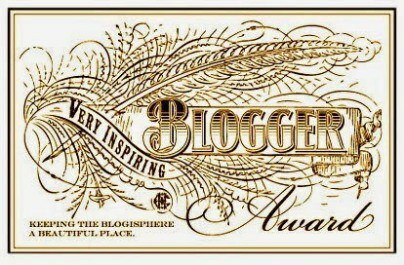 I am grateful to have been nominated for the Inspiring Blog Award by Forcing the Bloom. I may have been quiet with the posting lately but that doesn’t mean I’ve stopped reading and Forcing the Bloom has some of the best ideas and examples for implementing Montessori at home. I’m having another baby! Yes, we will be having our second child in January. I’ve dug through all my recipes that I’ve got on my computer but not on my site and have scheduled them out so be prepared for tons of recipes. I finally started baking bread again in the house. I hope that I keep it up because it tastes soooo much better. I often struggle these days to keep up with the house (laundry, dishes, toys…). No one ever warned me that the second time you are pregnant it is harder! Seriously, I get super tired and can’t take a break while little man is asking to read the 20th book for the day or just dumped out the whole bucket of Lincoln logs. I’m so thankful for my husband who has been super supportive and even though he works a busy job, he still finds time to help out with my household tasks. I’m going to be a bit selfish and not pass on the award. I know so many awesome people who have already been given it and it’s more important to post this than procrastinate another week or two while I see who hasn’t received it that I’d want to pass it on to. Don’t hate me. It’s time for this pregnant mama to get some much needed rest. Thanks again to Forcing the Bloom for the nomination because I do really appreciate it. Hey everyone. I’ve been gone for awhile but I haven’t been idle. Nope, I’ve been working hard. What at you may ask? Well, Little Man and I have been attending a Montessori class on Saturday’s. My wonderful husband has completely embraced his bicycling hobby. He commutes to work by bicycle and then goes on great big rides on the weekend. I’ve also been working on expanding our product line with our eBay store. We’ve had appointments, taxes returns are almost due, and the house does have to stay in some type of livable arrangement. Thankfully, I’ve fully embraced something myself. I’ve fallen in love with Evernote. I’m able to keep notes on supplies, recipes, to-do lists, homeschool ideas, gift ideas (a favorite feature). I can even set reminders attached to notes. Like buy Little Man his birthday present! Anyway, it’s back to work on everything but be sure to check out Evernote. The free version is great but the Premium version allows you to upload lots more awesome stuff. Have a great day everyone! While many people are fortunate enough to own their own homes, some people rent. I’ve rented a few homes in the past many years and one of the things that we’ve always done is fill out a condition report on the home when we move in so that when we move out, we can prove that the stain on the carpet (hole in the wall, tear in the screen…) was already there and we won’t be charged for the damage. I’d advise anyone moving into a rental house or apartment to fill out a form like this to help cover them for any damage charges (or at lease fewer charges) when they move out. If you would like a copy of an Inventory and Condition report, click here and you will be taken to see a free PDF that I created. And always!! Always!! Keep a copy of every file and document that’s signed between the owner/property management and yourself!! 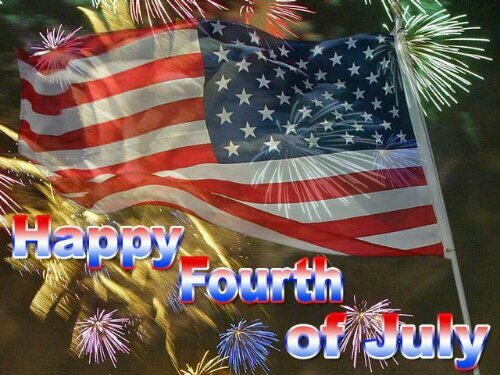 Happy 4th of July to all my wonderful friends. Today we celebrate the independence of America! I am so proud to be an American. Thank you to our forefathers and thank you to our military for our freedom! If you are celebrating this holiday today, please remember to be safe. Fireworks and alcohol are both dangerous and should be respected. So please be aware of your surroundings and drink responsibly. If you want to check and see if you have any broken links on your site, head on over to Free Broken Link Checker. Thanks to Valerie for featuring Little Man Shoes! !